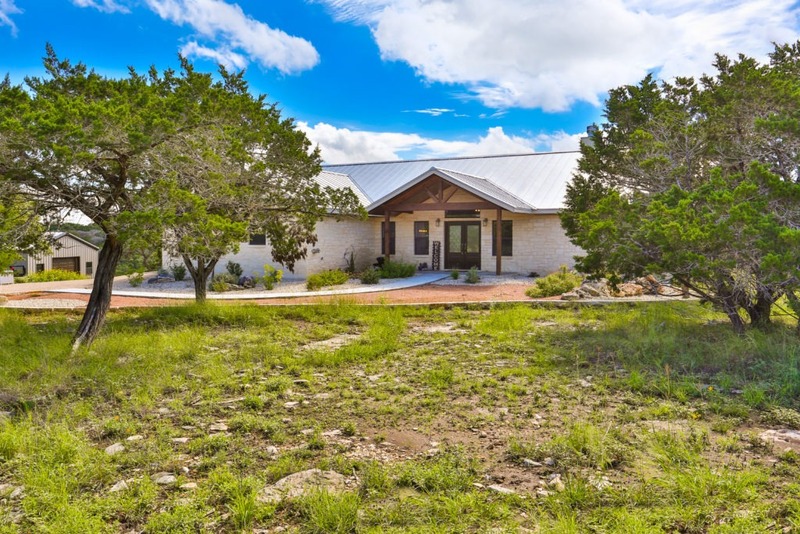 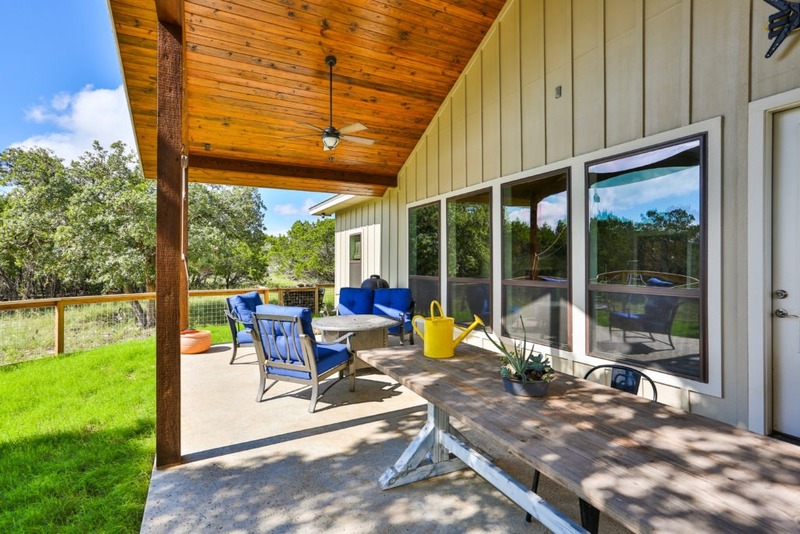 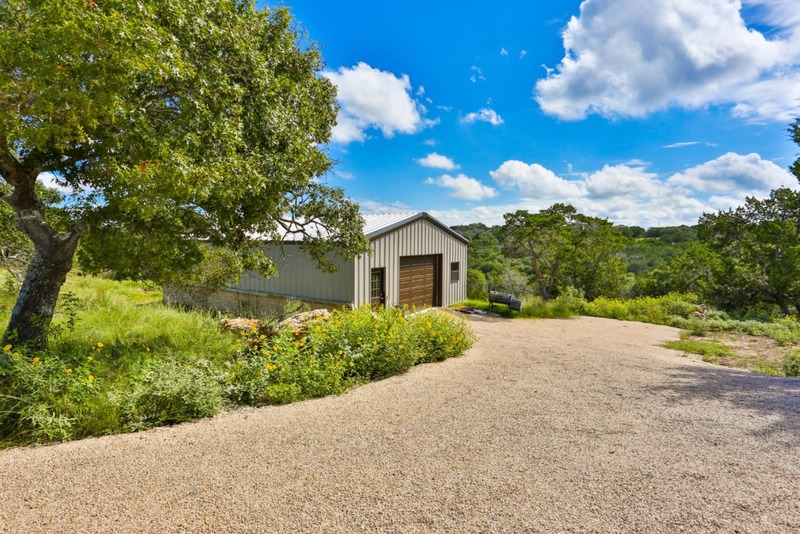 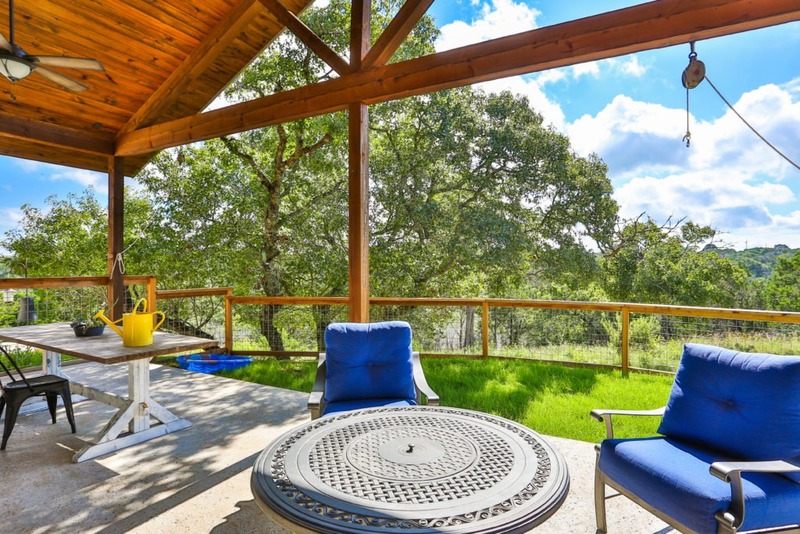 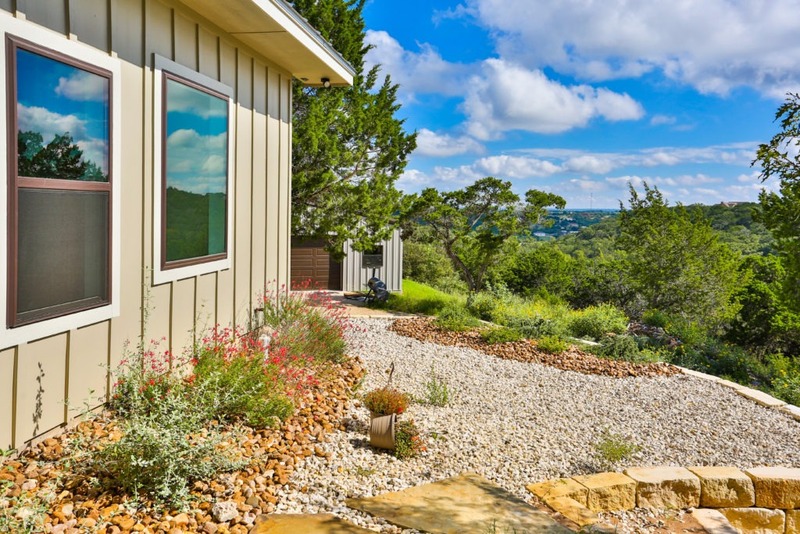 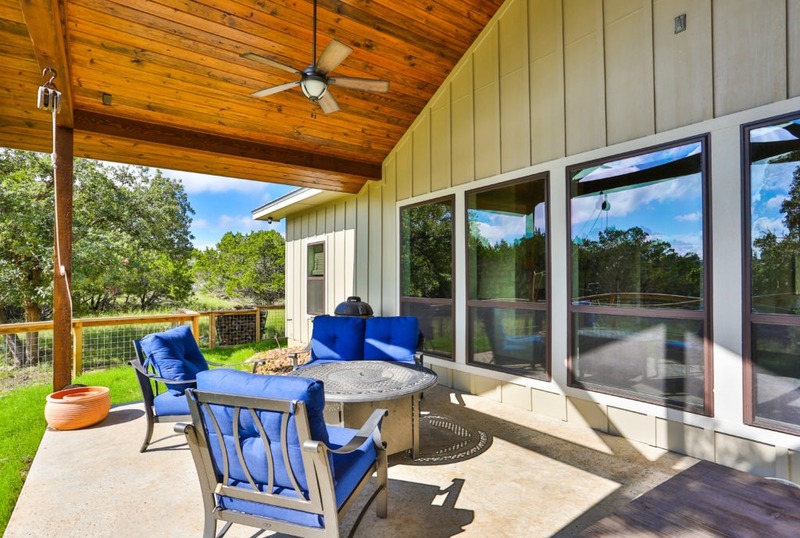 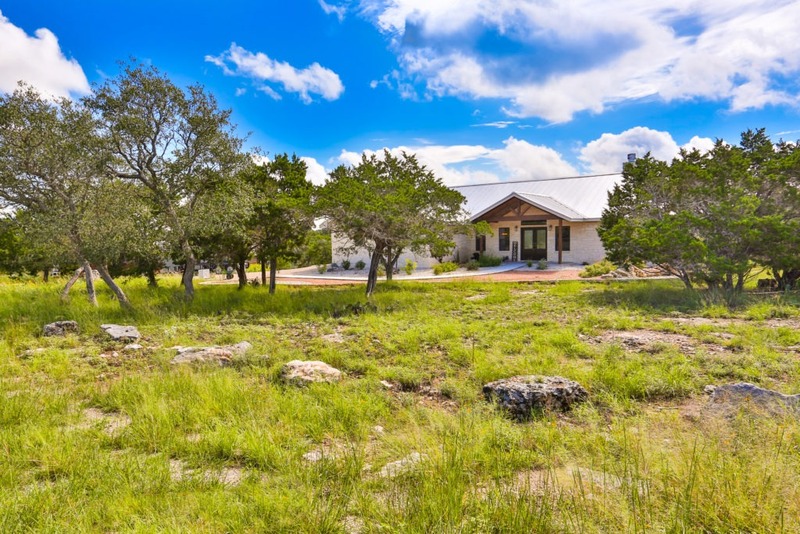 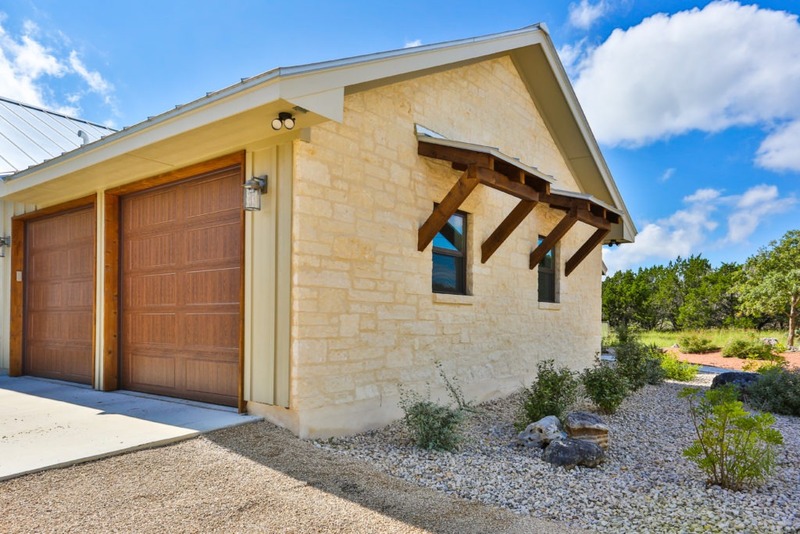 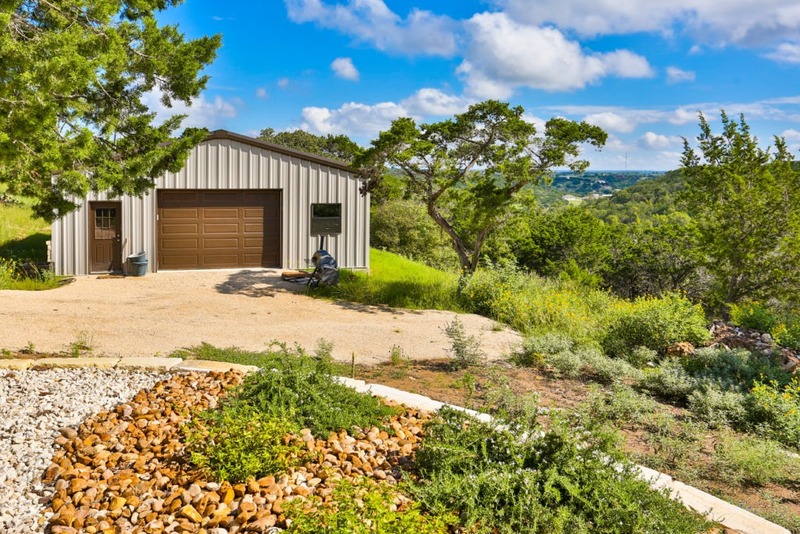 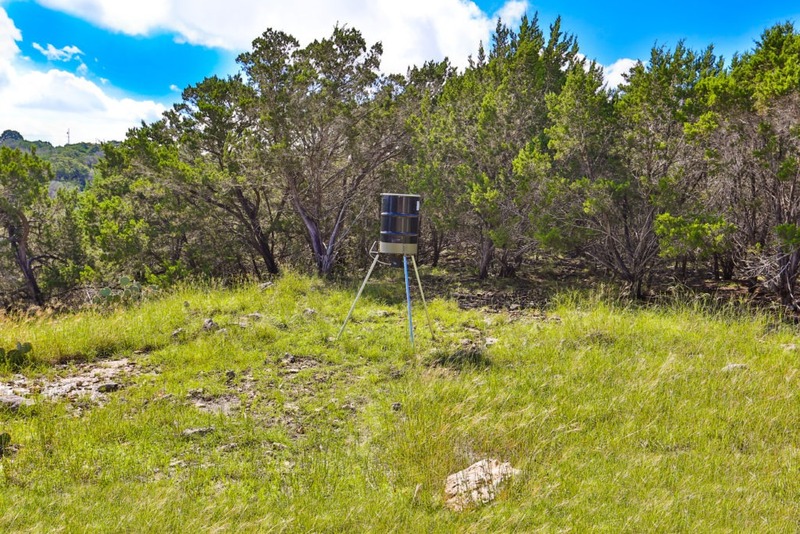 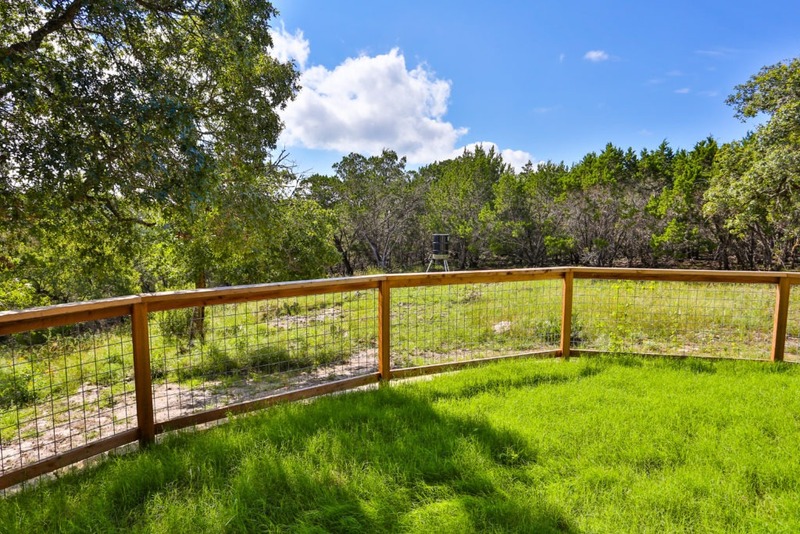 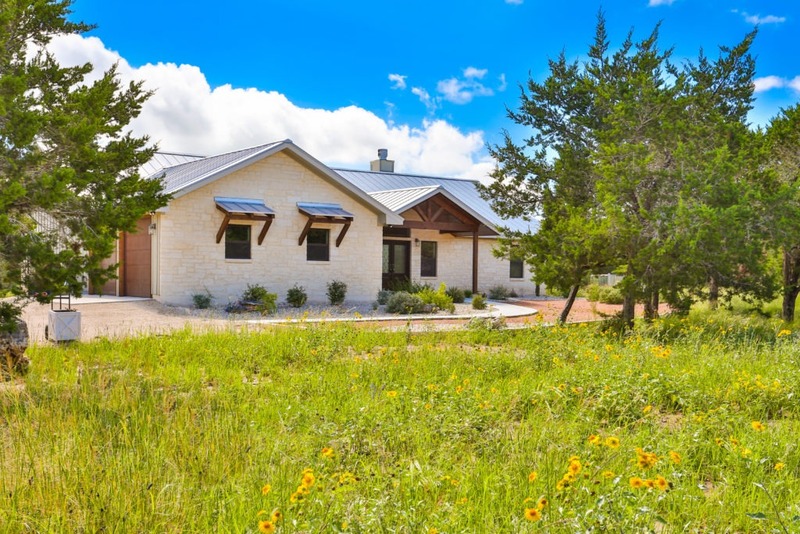 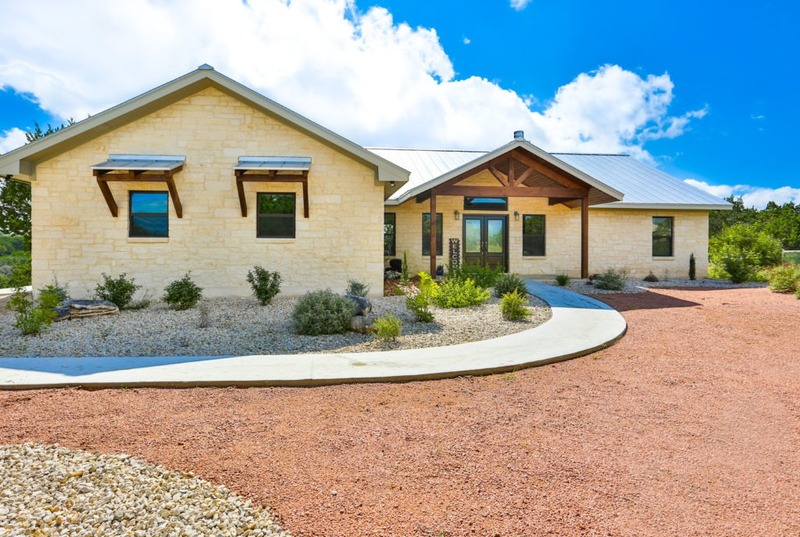 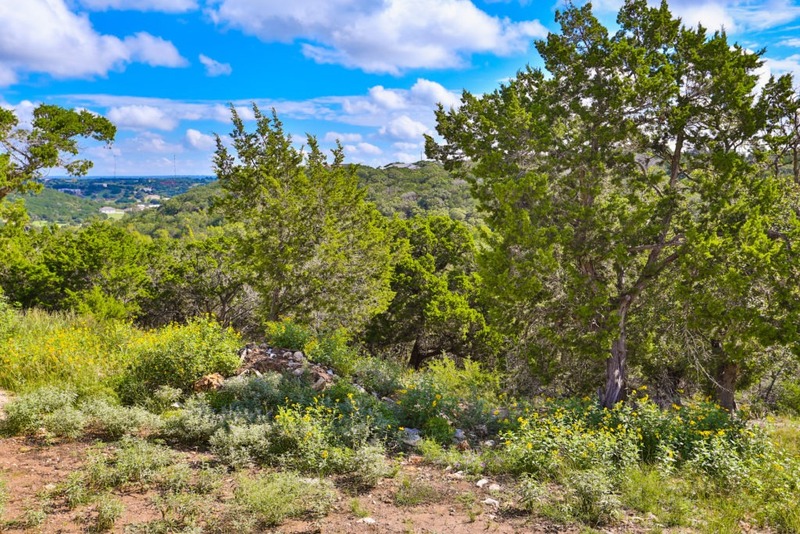 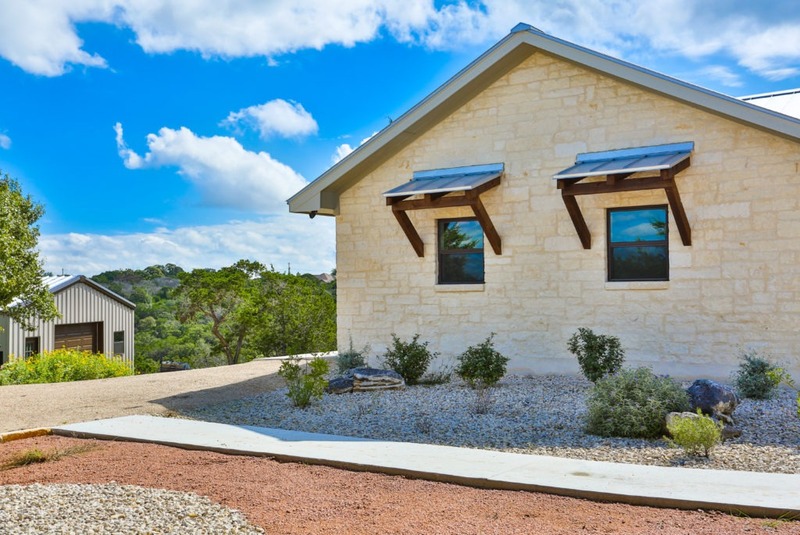 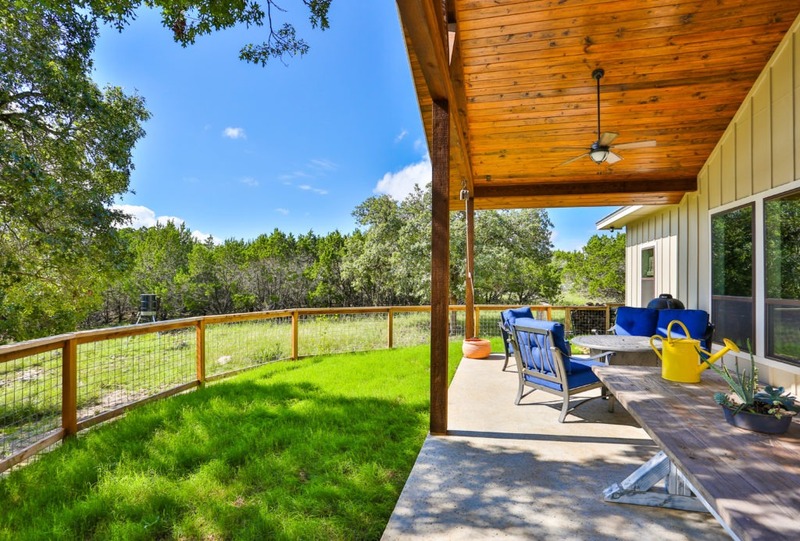 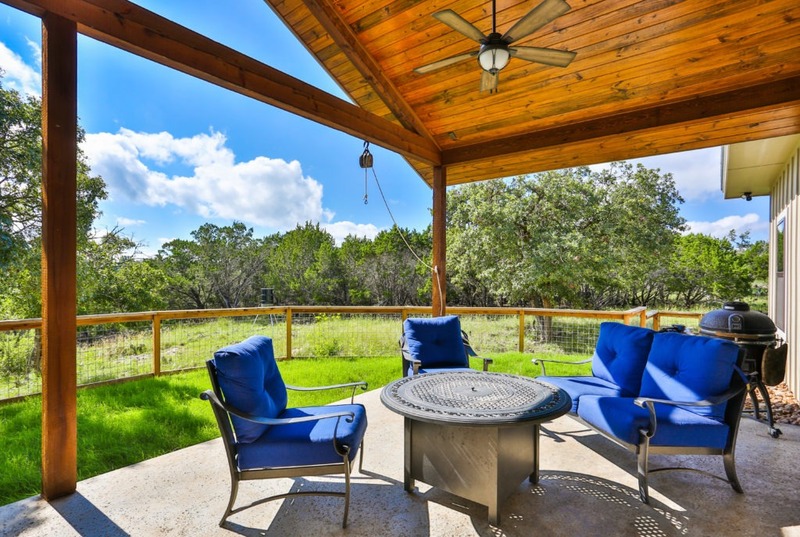 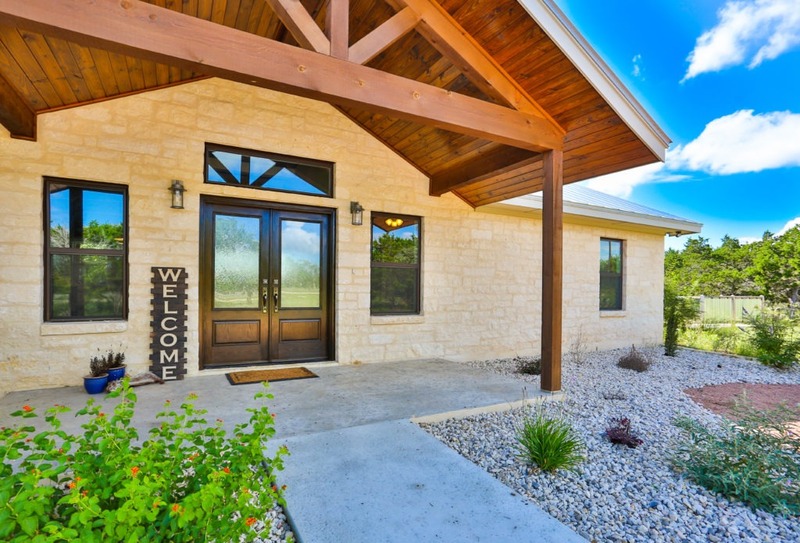 Enormous lot with spectacular views of the Texas Hill Country. 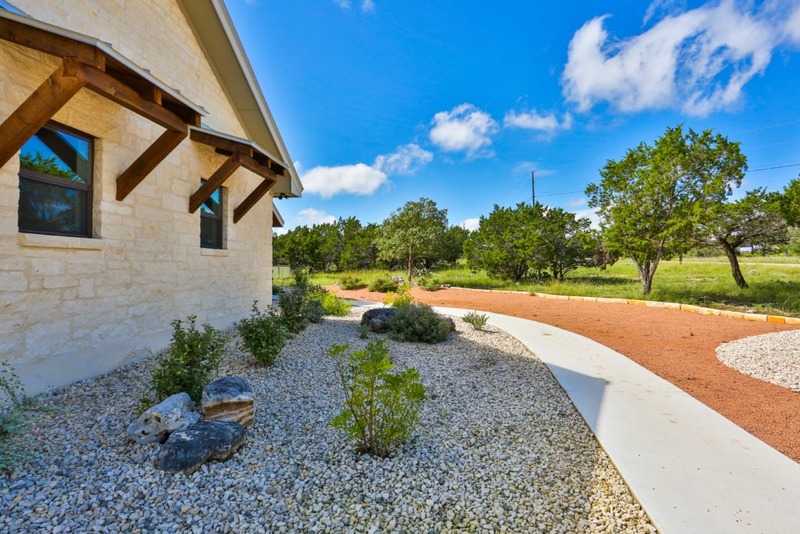 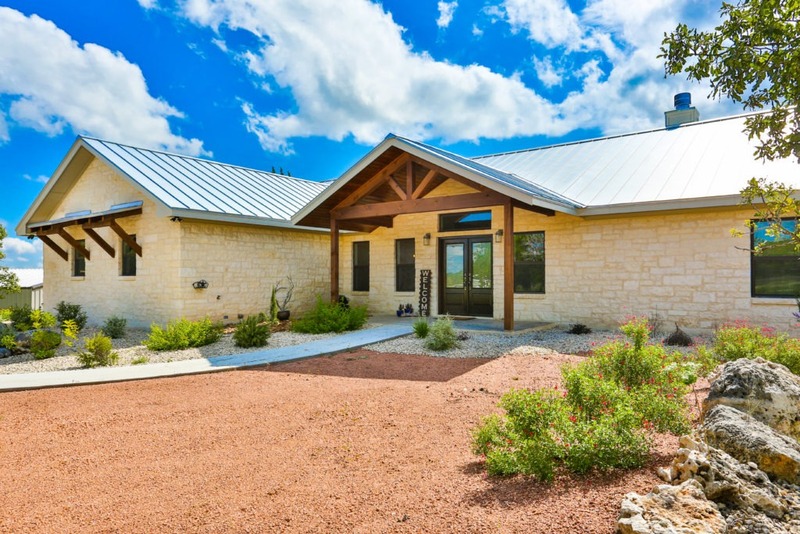 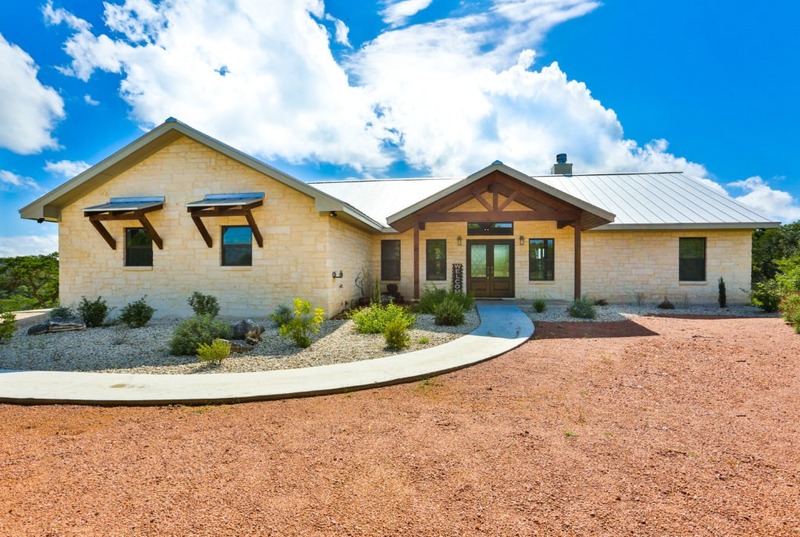 Limestone siding, an extended driveway/sidewalk and spacious porches with stained cedar ceilings set this house wonderfully among the drought resistant landscape. 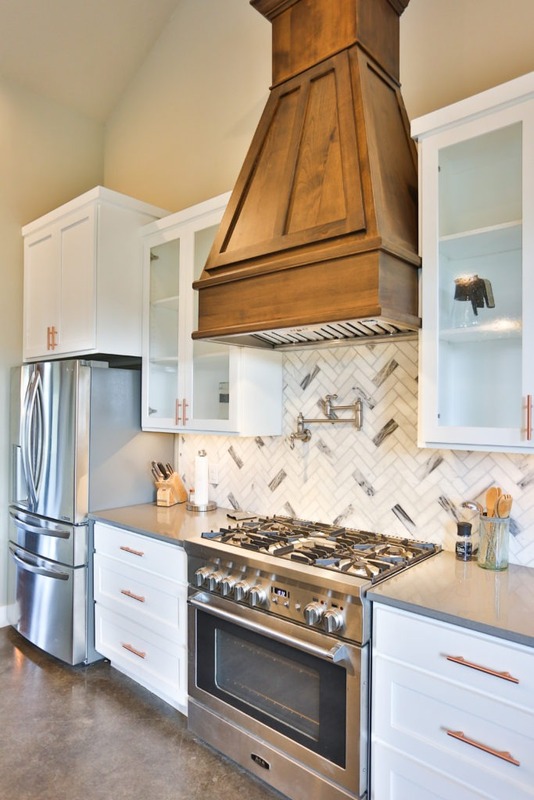 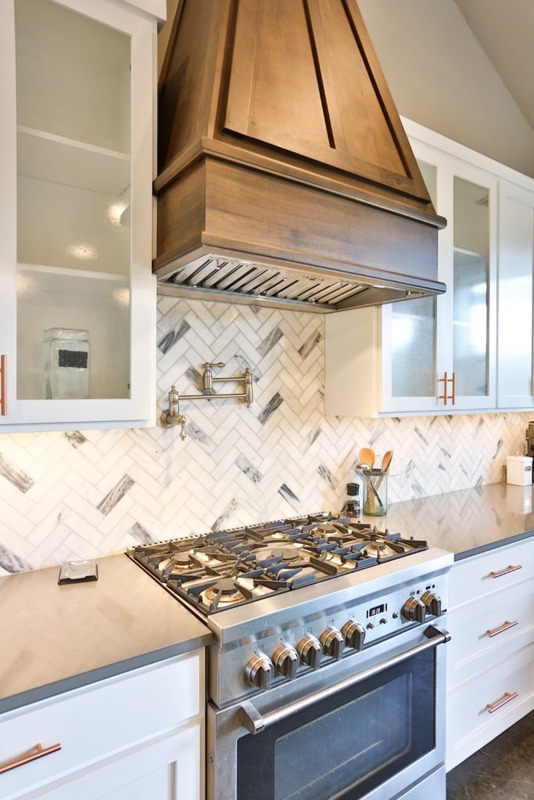 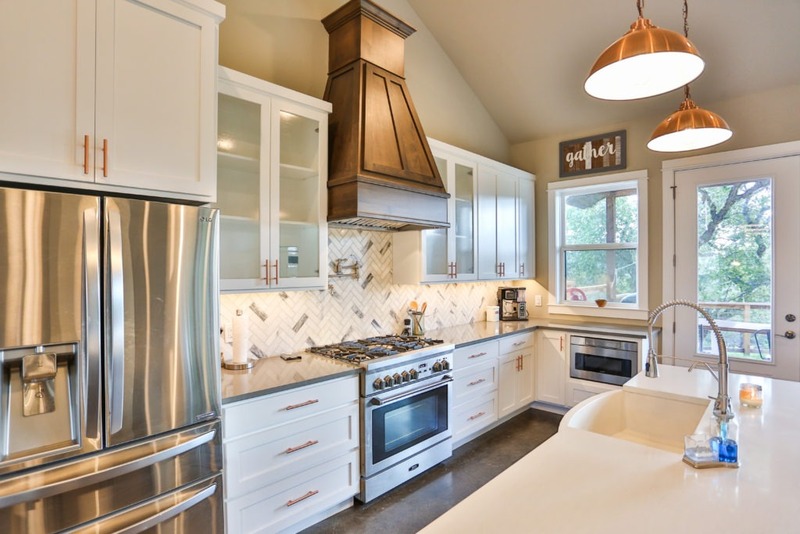 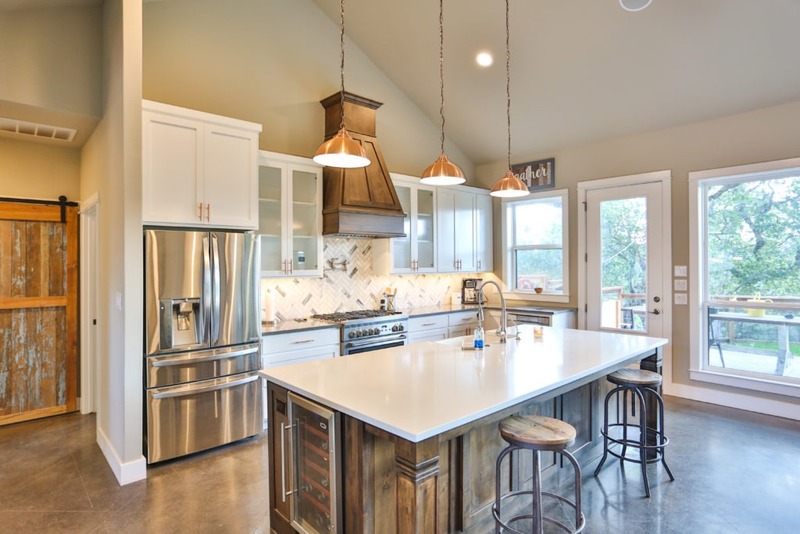 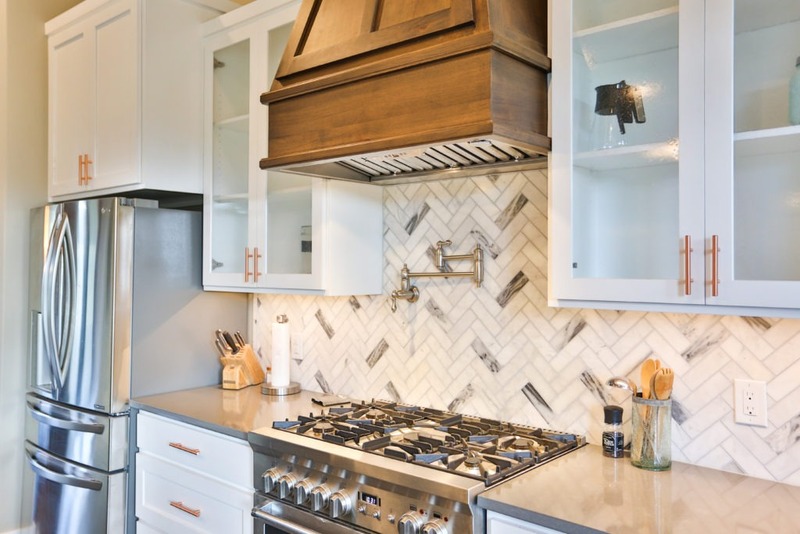 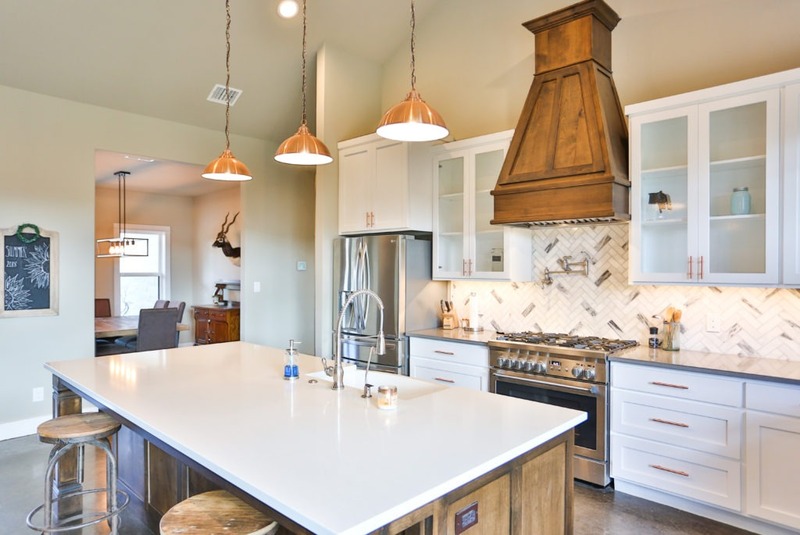 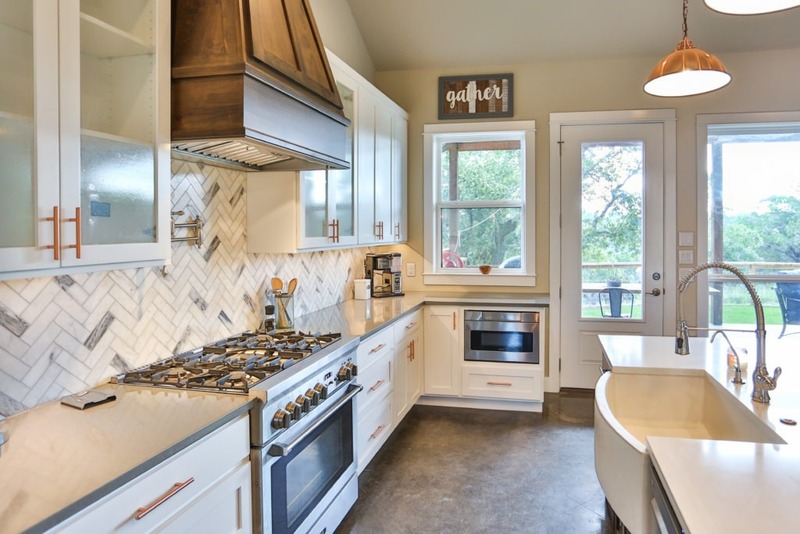 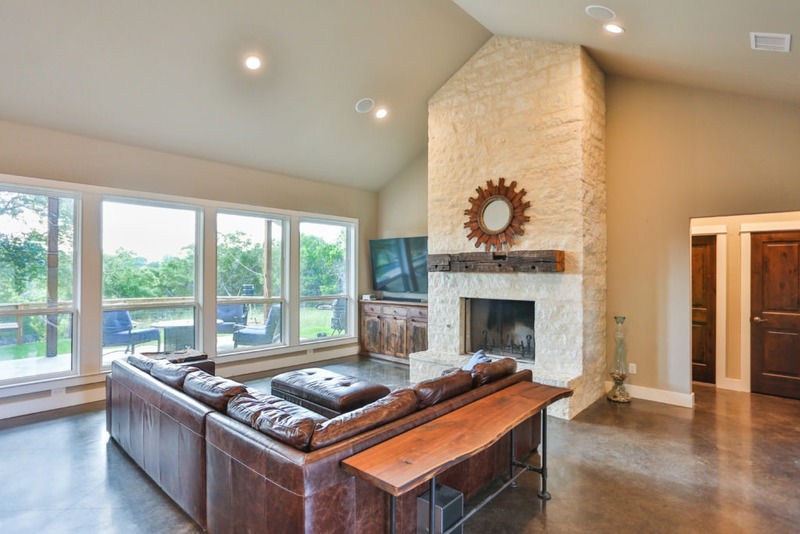 The impressive craftsmanship of the stained entry ceiling and large limestone fireplace catch your eye as you enter leading to the custom cabinets, island, and vent hood in the kitchen. 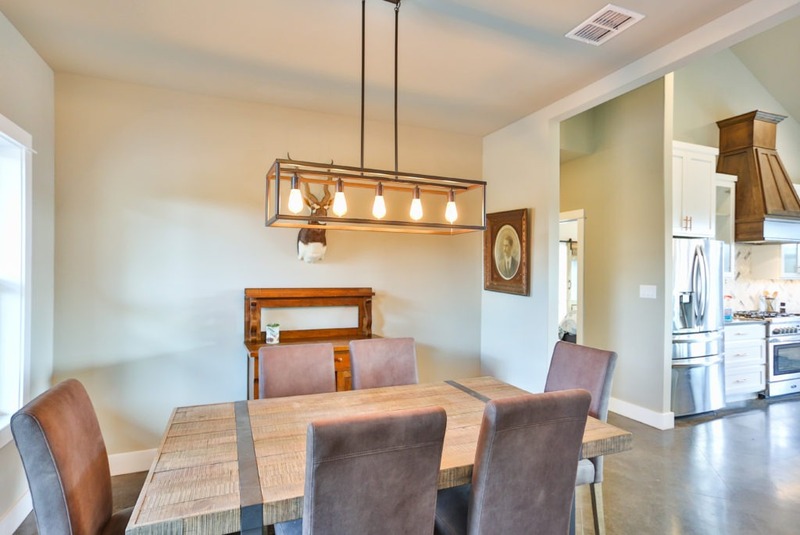 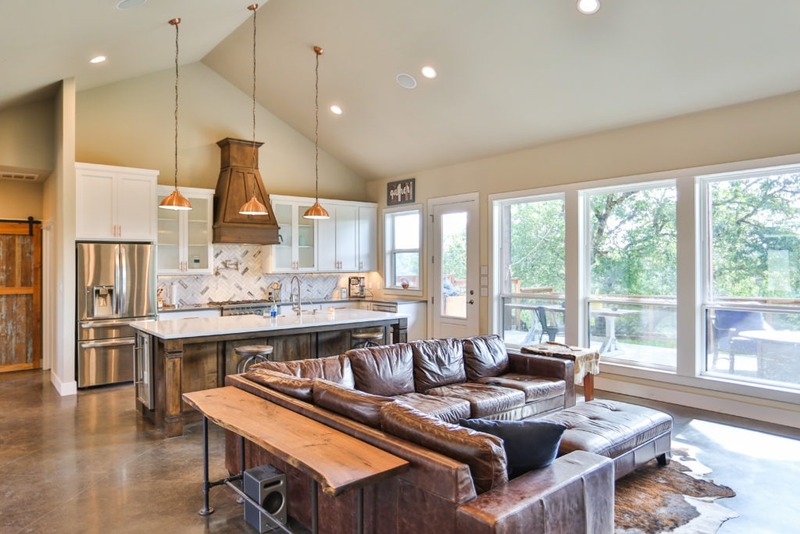 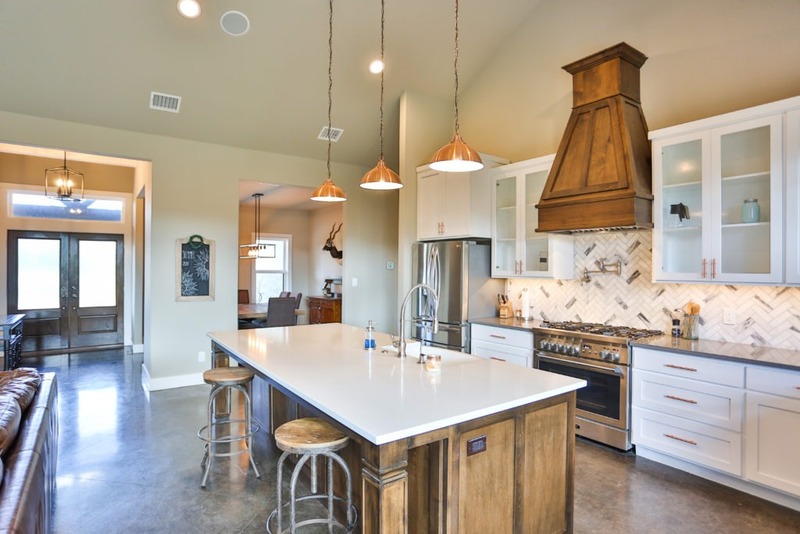 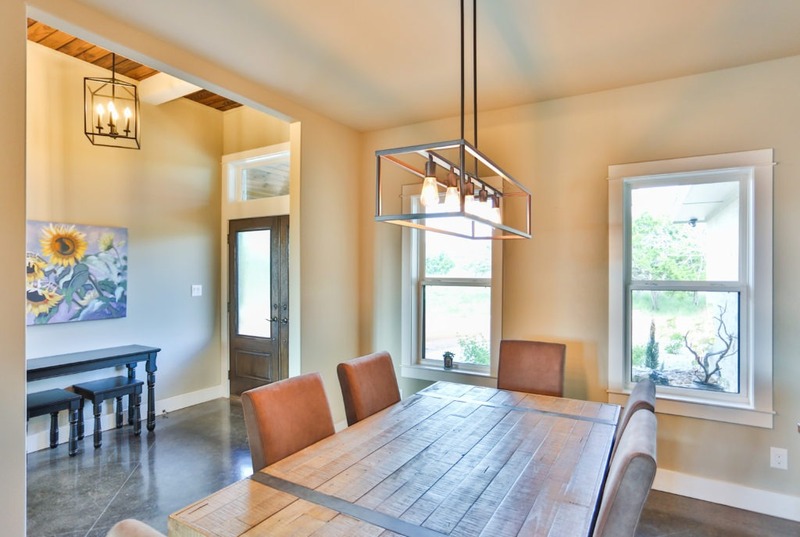 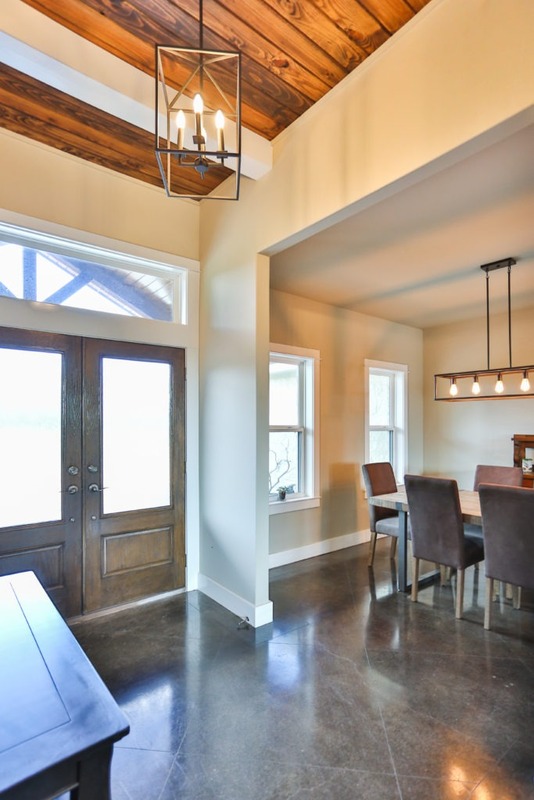 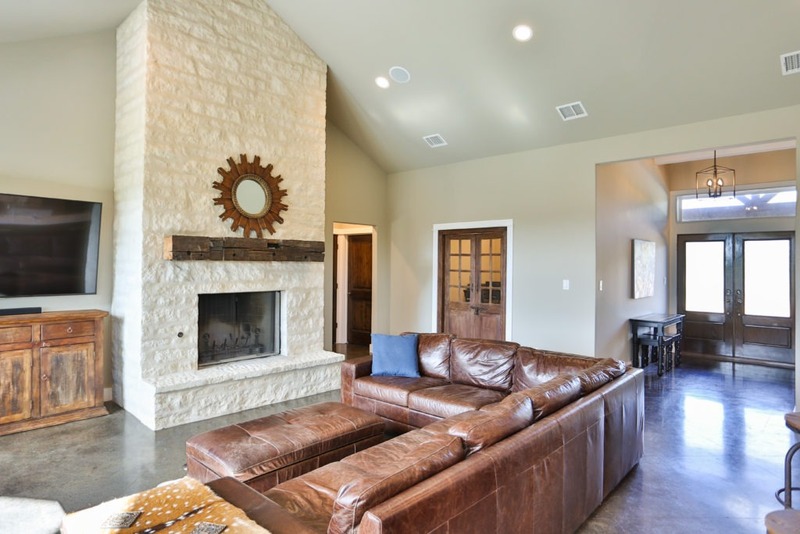 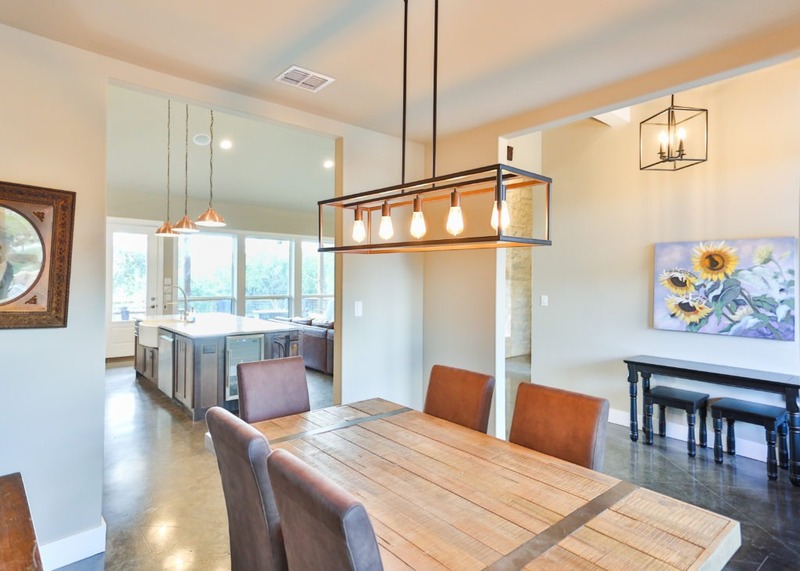 A large open floor plan with tall vaulted ceilings make the room feel larger and more inviting. 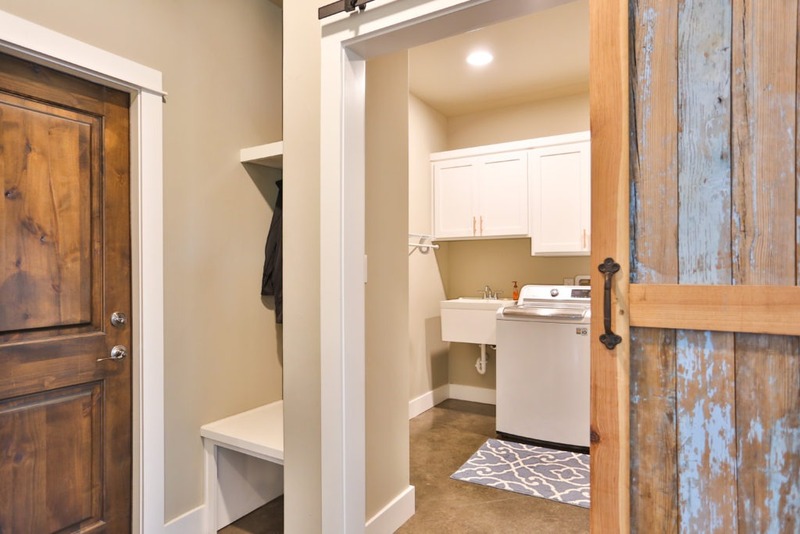 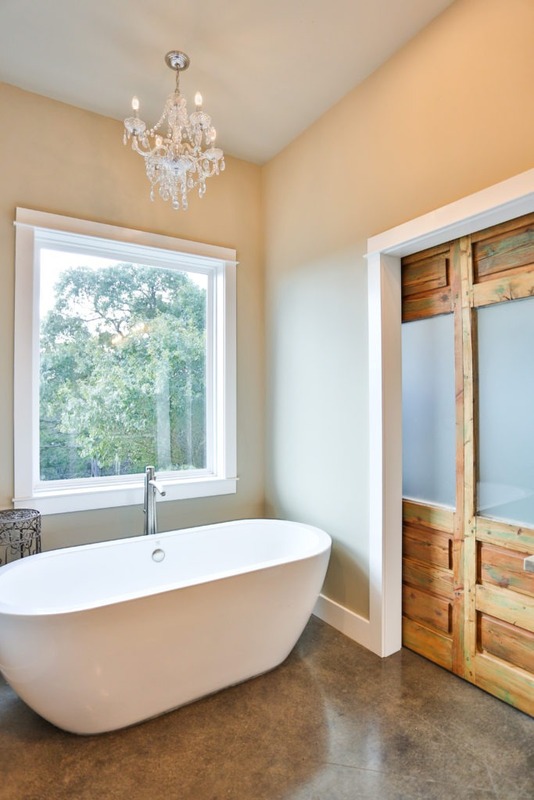 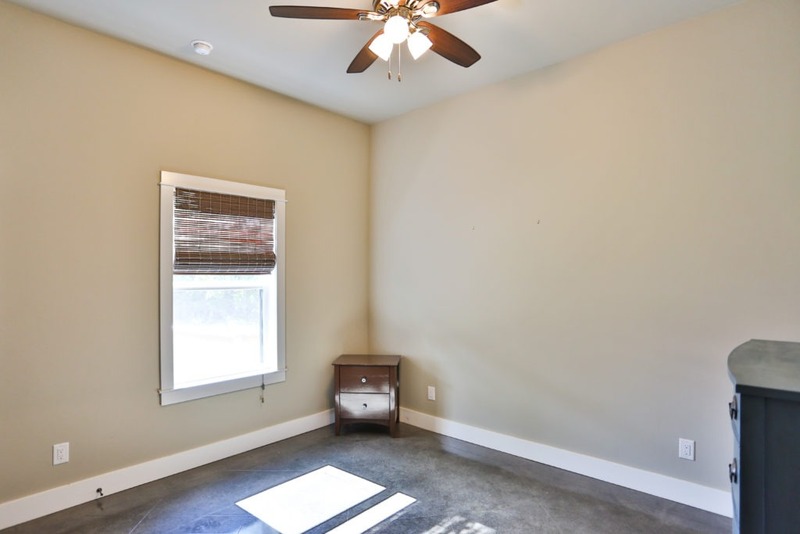 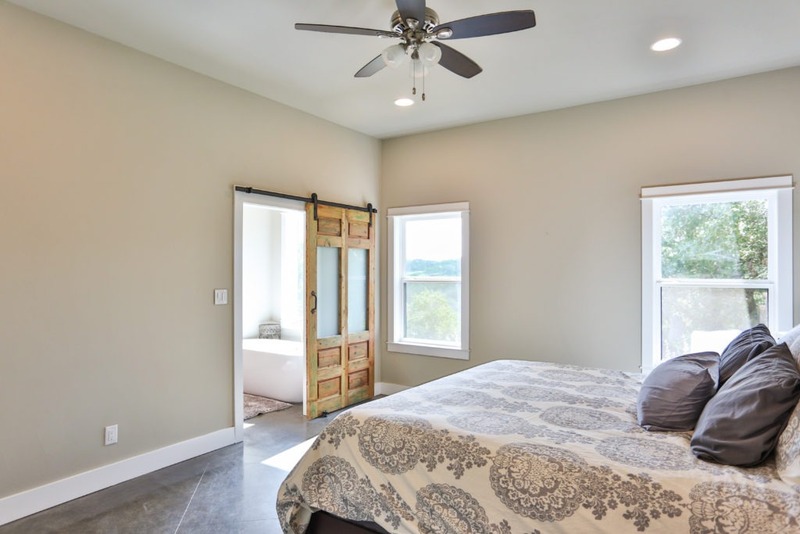 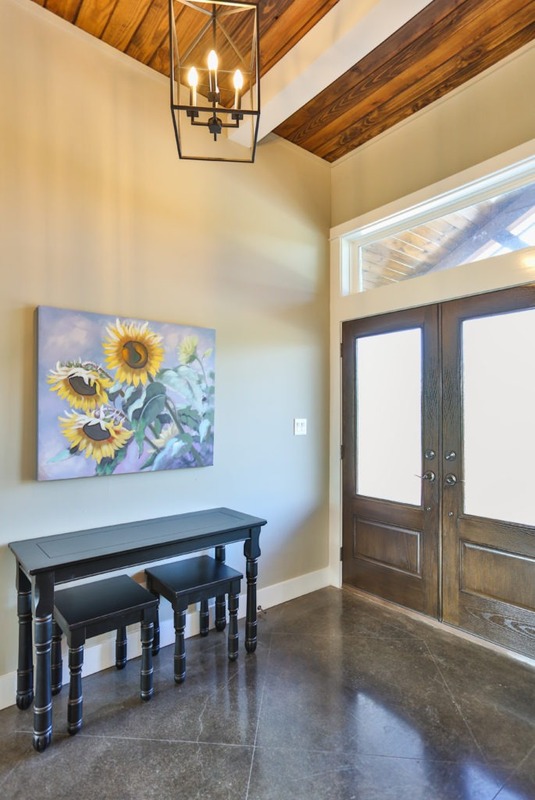 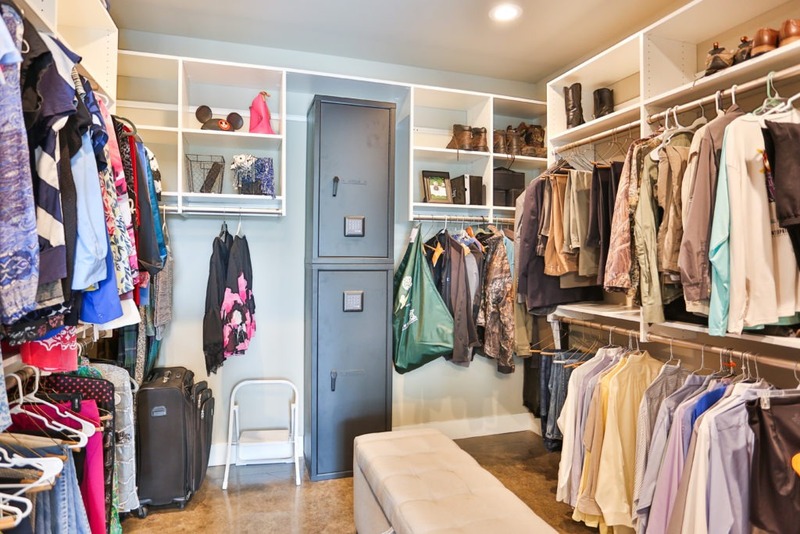 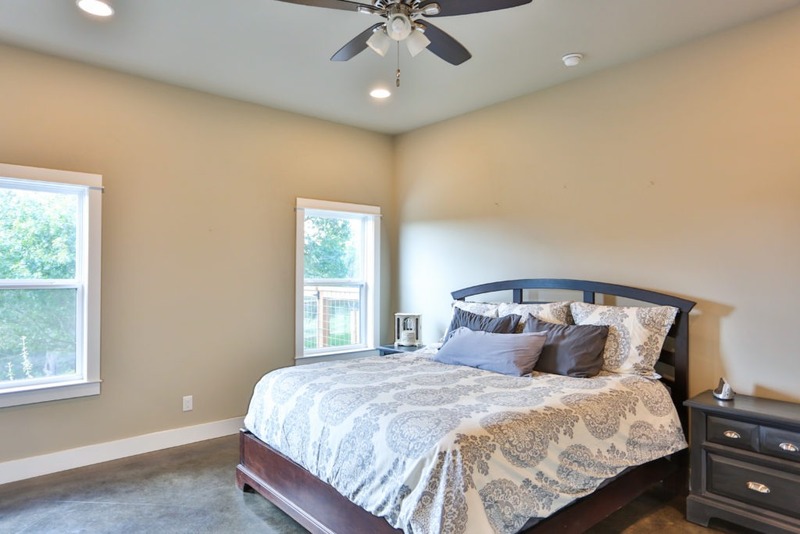 Large master bedroom with large walk-in closet and barn door bathroom entrance. 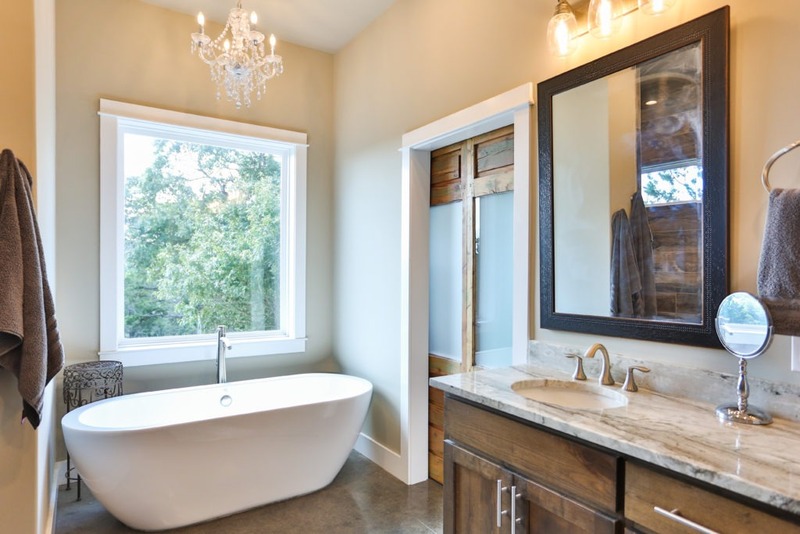 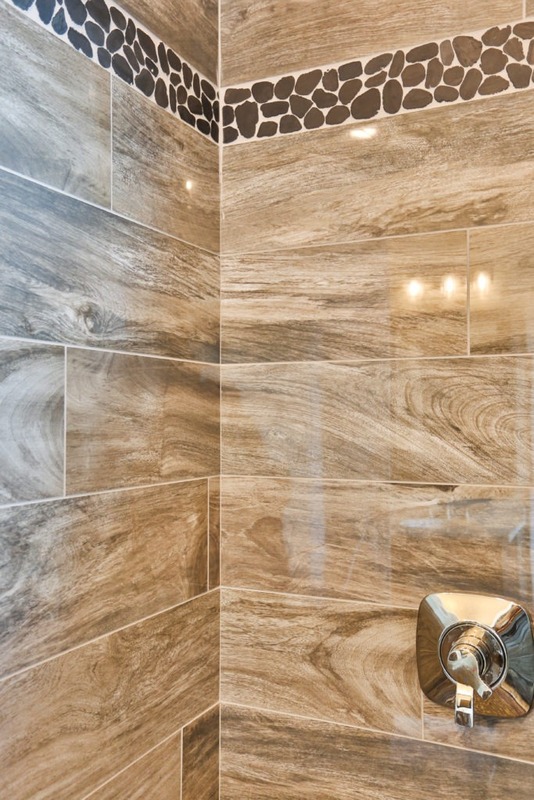 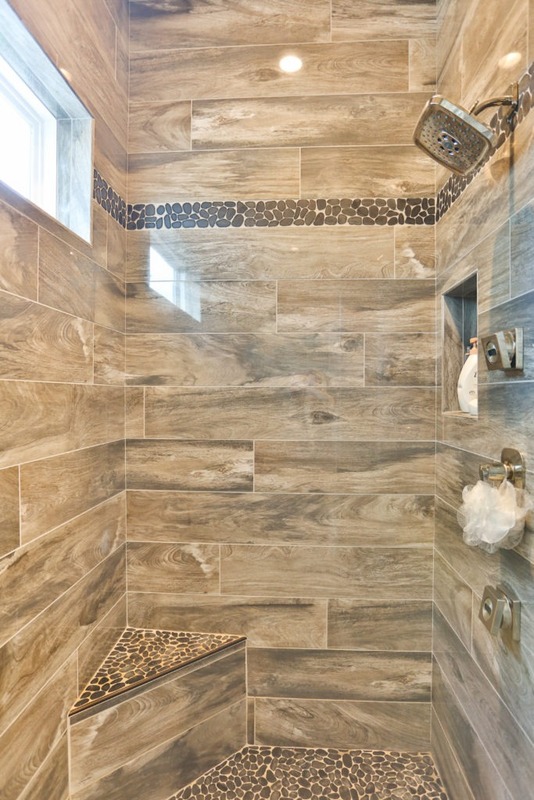 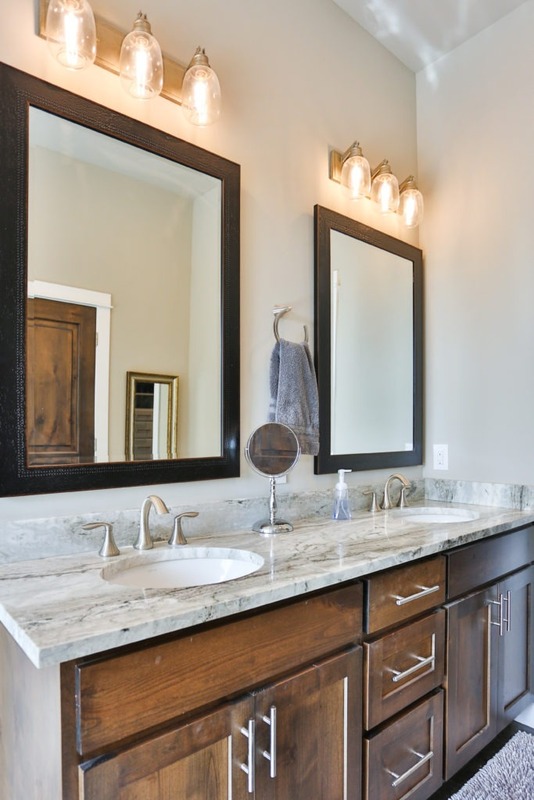 Complete with 2 more bedrooms, another bathroom, and a study, this home brings presentation and functionality together.